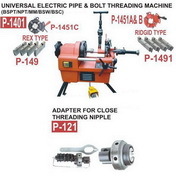 Welcome to National Cutting Tools.We are manufacturing all types of Threading machines,Thread Rolling Machines,Portable Threading Machines,Saw Grinding Machines,Power press,Hacksaw machine,Pipe bending machine,Threading tools,Cutting tools as per our customers requirement.The main motto of our organization is to deliver high quality goods to our valuable customers.Customer Satisfaction is our main motto.National Cutting Tools is a trustable company.We are giving to our customers valuable things in a very reasonable prices. National Cutting Tools, An ISO 9001 : 2000 Certified Industrial Machines ,Cutting and Threading tools and Scaffolding Material Manufacture , Exporter and Supplier co.was established in 2003. A reputed company dealing in extensive range of industrial tools and other related utilities... National Cutting Tools, started its endeavor couple of decades back and in this period of time we have tried to build a mark for ourselves. We attribute our effort in not compromising on quality and slowly building on that strength has alleviated our status and business. 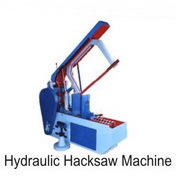 Today, we are a reputed manufacture and exporter of a variety of Industrial Machinery such as Pipe Threading Machines, PVC Pipe Threading Machines, Portable Pipe Threading Machines, Portable Pipe and Bolt Threading Machines, Bolt Threading Machines, End Facing Machines, Scaffolding Pipe Threading Machines, Rod Cutting and Threading Machines, Steel Bar Threading Machines, Lanco Type Die-Head for Bolt and Pipe Threading,Automatic pipe beveling machine,Hydraulic pipe threading machine,Hydraulic thread rolling machine two roll and three roll type,Power press,Matel cutting hydraulic hacksaw machine and Pipe bending machine. Our range of Industrial Tools includes Landis Tangential Chasers, CTC Chasers and Cutters, HSS Threading Taps, HSS Milling, Cutters, HSS Tool Bits, HSS End Mill Cutters, HSS Cutters, Circular Thread Rolls, HSS Cutters. 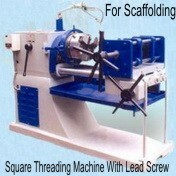 We also deal in all types of cutting and threading tools as per drawing. These products, all durable and efficient, are of international quality standards and most competitively priced. Over the years, we are accomplished to develop sustainable solution for the special tooling requirements. To keep pace with the rapid technological advancements worldwide, we continually upgrade our skills and machinery. We endeavor to satisfy customer's need and requirements. Our products are durable and efficient that meet varied applications. 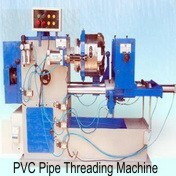 We offer our products in most competitive price. In addition, our customer oriented approach helps us to become a prominent global suppliers. 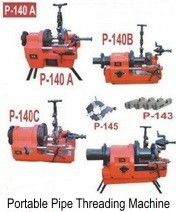 ALL TYPE OF CUTTING AND THREADING TOOLS AS PER DRAWING. Right from procurement of material from reliable sources to the final dispatch, we, at National Cutting Tools, check our entire manufacturing process to deliver a flawless range for our esteemed clients. We use high quality raw materials that ensure that the final outcome is of superb quality. Each and every raw material is first tested by our quality experts and is then used for the production process. The finished product is also cross checked for efficiency and durability. Our workforce is highly skilled in packaging and they use superior quality materials for packaging. Every care is taken to prevent these tools and equipments from any scratch or breakage during their transit. * Dedicated attention to each customer's requirements and specifications to ensure maximum satisfaction. Copyright © 2006 National Cutting Tools. All Rights Reserved.